Dunbar Gardens in Mount Vernon, Washington is the home of willow basket maker Katherine Lewis. 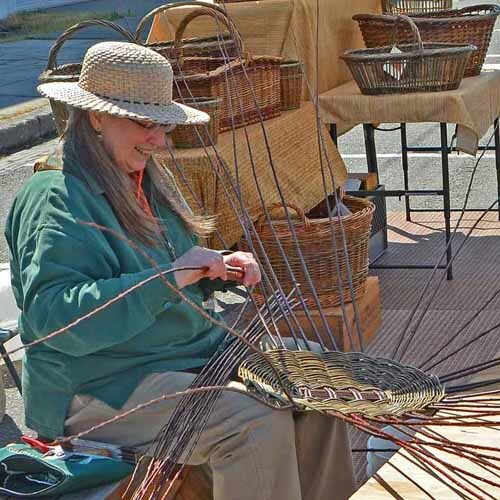 She and husband Steve Lospalluto grow selected varieties of basketry willow which are cut annually, dried, and sorted to weave beautiful functional baskets. Willow baskets handcrafted to last a lifetime while reflecting the natural beauty of the willows. 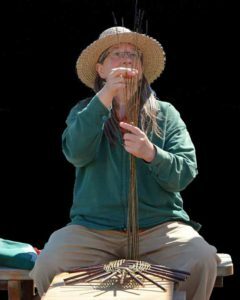 Although willow is a common basketry material throughout the world, Katherine is one of a few who is actively growing and crafting her own willow in the United States. From the harvest of the basketry willow to the finished baskets, the work is all done by hand by Katherine and Steve. In 2011, Katherine was honored to have several of her baskets acquired by the Renwick Gallery at the Smithsonian American Art Museum as part of the Cole-Ware Collection of American baskets. 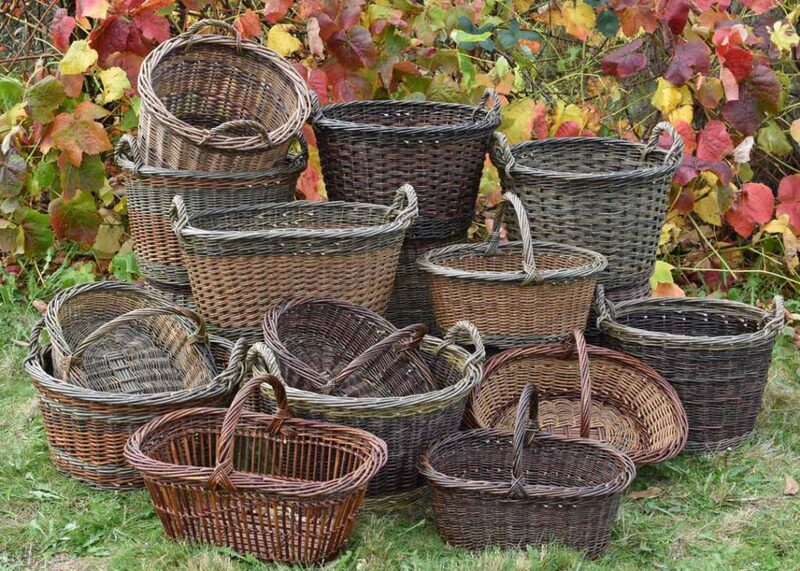 Katherine’s baskets are in use in hundreds of homes around the country as well. 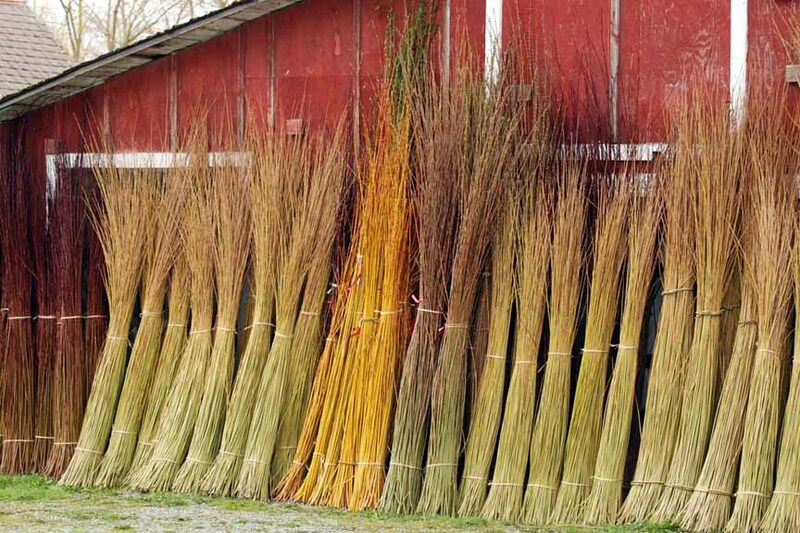 We also offer a large selection of willow cuttings to grow for basketry, living willow garden structures, and other garden use. Katherine teaches willow basketmaking classes here and around the country. Our farmstand is open year round with willow baskets. Please explore our website to find out more about Katherine’s willow baskets, her schedule of shows and events, her basket making classes, growing willow, our small farm in the Pacific Northwest, and how to buy our products. You will find more contact information in the footer of this page. There is a convenient link to our facebook page as well as a signup form for our newsletter.